Run-D.M.C. was a hip hop group founded by the late Jason "Jam Master Jay" Mizell that included Joseph "Run" Simmons and Darryl "DMC" McDaniels. The group had an enormous impact on the development of hip hop through the 1980s and is credited with breaking hip hop into mainstream music. 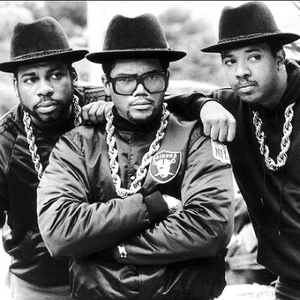 The three members of Run-D.M.C. grew up in Hollis, Queens, New York, USA. The band signed a record deal with Profile Records in 1983, and Run's older brother, Russell "Rush" Simmons, signed Run-D.